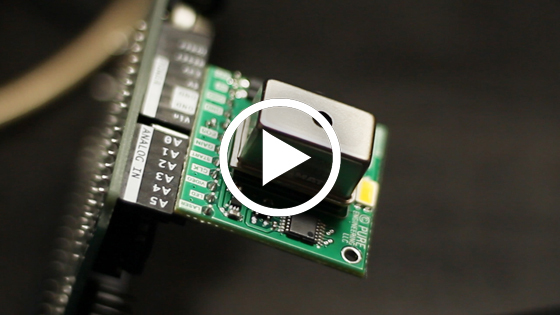 The Hamamatsu C12880MA is a MEMS micro-spectrometer head with a CMOS image sensor. It is used to detect wavelengths of light and their intensities with a spectral response range from visible to near infrared (340-850 nm) and a maximum resolution of 15 nm. It is an updated version of the popular C12666MA which has done 11 GroupGet rounds. The C12880MA has more pixels (288 vs 255) and a greater near-IR response range than the C12666MA. 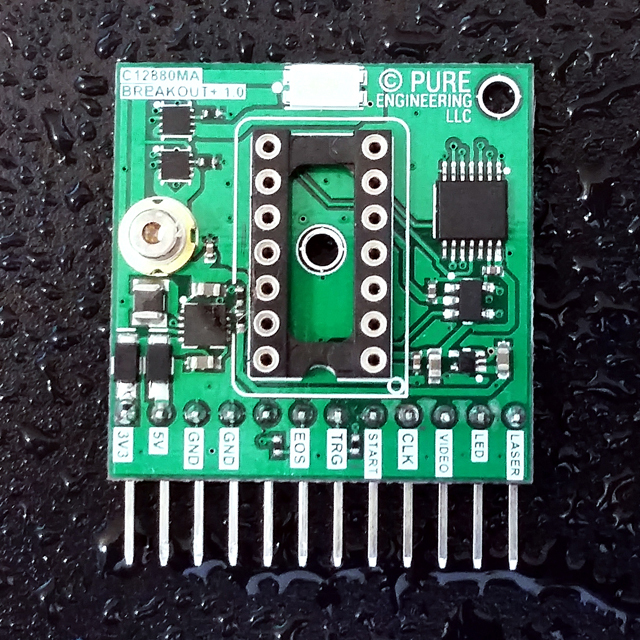 We therefore recommend this sensor for future designs. FYI - citing a falling Dollar/Yen ratio, Hamamatsu has raised their price for this sensor so we have had to raise ours in step. Please note that the breakout board for the C12666MA will not work with the new pinout of this C12880MA so we made an updated breakout (below) that is functionally equivalent. The previous generation C12666MA was super popular on GroupGets but now we want to offer the '880 due to its greater sensitivity range and resolution. It's also hard to get in single quantity. I have just created the GroupGet for C12880MA MEMS u-Spectrometer (Round 7)!